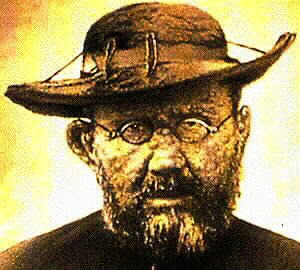 Father Damien DeVeuster, the Belgian priest who served Hansen’s disease patients at Kalaupapa, Molokai, and later died of the disease, has moved closer to sainthood. A commission of five doctors scrutinizing an alleged medical cure attributed to Damien has reported that the woman’s healing was dramatic and defied medical explanation, said Patrick Downes, Catholic Diocese of Honolulu spokesman. The woman was reported cured of lung cancer about 10 years ago after making a pilgrimage to Kalaupapa and praying to Damien. Two miracles are needed to be considered for sainthood. The first one attributed to Damien occurred in 1895 when a French nun dying of a gastrointestinal illness miraculously recovered after beginning a novena or Catholic ritual to Damien. He was beatified in 1995, 100 years after the first miracle. A commission of theologians now must determine whether the alleged second miracle was done through the intercession of Damien, Downes said. If the commission determines that Damien was involved, a commission of bishops and cardinals will review the case and make a recommendation to the pope, he said. The process may take about a year, Downes added. Damien came to Hawaii from Belgium in 1864, joining other missionaries of the Congregation of the Sacred Hearts of Jesus and Mary. He died at age 49 in 1889 of leprosy after ministering to people of Kalaupapa for 16 years.